The Emperor Lim Yo-Hwan will, for the first time in his 13 years since debut, be a team coach. 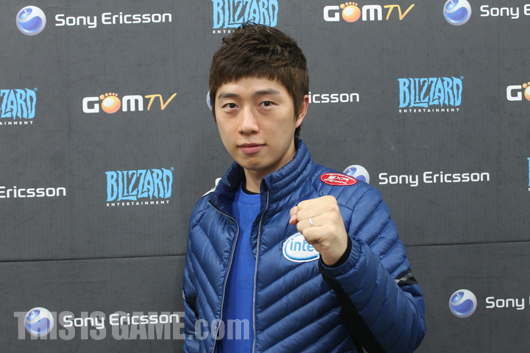 SlayerS has announced that BoxeR has been appointed as the playing head coach of SlayerS and will take the helm from the teams first match at the 2012 GSTL Season 1. As such, for the upcoming GSTL season SlayerS will operate a coaching staff of BoxeR as the playing head coach and Cella and Ryu Won [T/N: the SlayerS strategy coach: he was present for MMA at the 2012 GSL Season 1 Code S group nominations] as the two coaches. Although as a playing head coach he will double up as both a player and a coach, this is the first time that BoxeR will be a part of the coaching staff of any team since his debut as a progamer in 1999. Jessica, the manager of SlayerS, stated "The appointment of BoxeR as the team's playing head coach is the best decision for the team at the present time. For the moment we will operate the team with BoxeR at the helm for this season, and depending on this season's results we will determine whether he will remain as the playing head coach for the subsequent season." boxer has essentially replaced the role cella provided in the past. Is Cella still a coach for SlayerS? Isn't that surprising. It seemed like he already was in a coach/mentor role. I think this role suits him much better. Slayers for GSTL champions! I was under the impression BoxeR spent most of his time coaching anyway, considering the relatively weaker performances compared to the rest of the crew in his team. Why did Cella step down as head coach? Is he gearing up to play again? The Slayers roster is so huge, 2 coaches sounds like a reasonable decision. As long as BoxeR is still in esport! or the upcoming GSTL season SlayerS will operate a coaching staff of BoxeR as the playing head coach and Ryu Won [T/N: the SlayerS strategy coach: he was present for MMA at the 2012 GSL Season 1 Code S group nominations] and Cella as the two coaches. Good to hear. Long live the Emperor. Playing head coach? Oh man they will win GSTL again for sure.